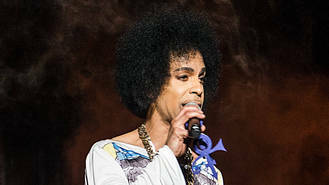 However, the declaration was put on hold after more than 45 individuals filed claims for a piece of the hitmaker's fortune, alleging they were related to Prince. Some of the bids were shut down last year (16), but others are still in the process of being appealed, prompting Carver County District Judge Kevin Eide to hold off from naming the official heirs until the matters are fully resolved. Judge Eide took the motion under advisement earlier this month (May17), and on Friday (19May17), it was revealed he had ruled in their favour, naming Tyka, Sharon Nelson, Norrine Nelson, John R. Nelson, Omarr Baker, and Alfred Jackson the beneficiaries of Prince's estate. The decision is good news for Prince's relatives, as his estate has been managed by court-appointed executors - first bank bosses at Bremer Trust, before financial services experts at Comerica took over in February (17) - since his death from a drug overdose, aged 57. Harry Styles often feels tearful when he sings his debut solo single Sign of the Times. Cheryl almost broke up with boyfriend Liam Payne over the phone. Jennifer Hudson doesn't need to do any vocal preparation before she hits the stage. Rocker Chris Cornell's death has been ruled a suicide by hanging. Hip-hop superstars Jay Z and Beyonce have officially become a billion-dollar couple. Snoop Dogg has signed on to host a revival of 1970s game show The Joker's Wild. Jessica Simpson's father Joe is now cancer free. Elle King's now-estranged husband was reportedly arrested for domestic violence weeks before their separation. Sharon and Ozzy Osbourne reportedly renewed their wedding vows last weekend (13-14May17).